Known for its highly scented cluster of flowers. Best grown in warm sunny conditions. - Plant when danger of frost has passed and soil has warmed. 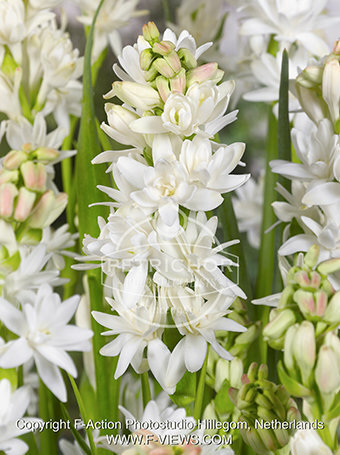 - Plant 15cm/6” deep in well drained soil, in a sunny position. - Water in well after planting and keep moist in the growing season. - Better in pots or containers, making it easier to move to a warmer location indoors when it gets cold. - Polianthus will require lifting, drying and storing when wintry exposed conditions prevail. - Best overwintered in a warm location, such as a conservatory or warm greenhouse.